"One of the things that surprised Marcell Lobenwein, a 16-year-old student from Hungary, when he arrived last fall as an exchange student in Joplin was the building where he would attend high school. "It's really modern, way more modern than any school in Hungary," he said of the new, post-tornado campus at 2104 Indiana Ave. "I think it's really big too. There's a lot of walking involved. It kind of reminds me of a university." 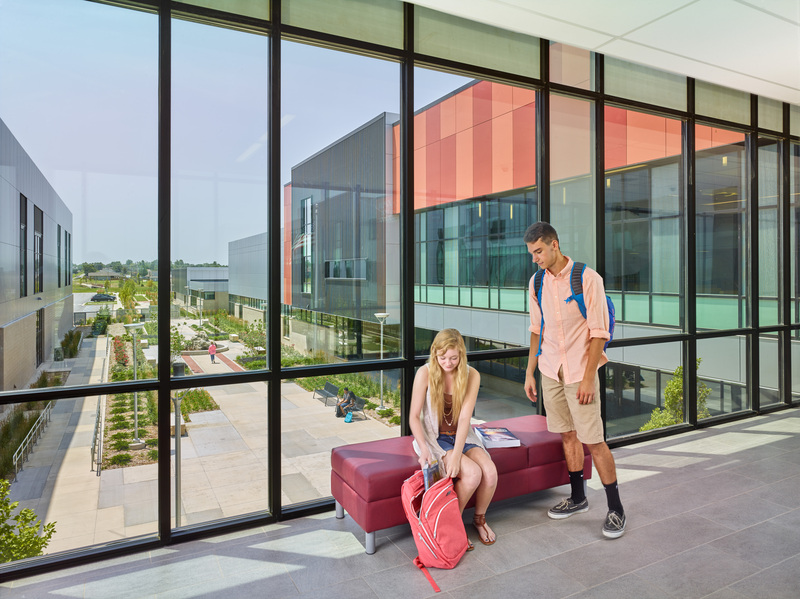 Along with the building, officials at Joplin High School have also embraced another modern concept — that of globalization. And it has earned the school the designation of being a 2016 Top Global Learning School, an award given by AFS-USA in partnership with the National Society of High School Scholars. Eighty schools from across the country were honored this week with the award. Officials with AFS-USA, a nonprofit organization that works with international student exchange, said the schools "demonstrated a strong commitment to developing the global competency of their students," including being hosts to international students, encouraging American students to study abroad and incorporating intercultural activities into the curriculum. "Intercultural learning is increasingly becoming essential for all young people as globalization continues to influence a variety of industries, from business to science, to the nonprofit sector to the arts," officials with the organization noted in a news release. "When today’s students learn to speak another language, navigate a different cultural context and become more tolerant and globally informed citizens, they are developing the skills needed to succeed in the 21st century." Joplin High School earned the honor because it "is dedicated to providing international exchange students with an enriching academic experience in a welcoming environment. The community is strong and united; they banded together to help repair the school after it was destroyed in a tornado," according to the organization's website. "We know that with the student who goes to Joplin High, the whole school is going to be looking out for that student," said James Butler, who works with AFS-USA host families, students and volunteers in Missouri and Arkansas. "The school cares about the student as much as the host family does." Principal Kerry Sachetta said school leaders have prioritized hosting exchange students more in recent years than in the past. Four exchange students are currently there, with the exchanges having been arranged by three agencies, including AFS-USA, he said. Lobenwein, an aspiring filmmaker and photographer, said he always knew he wanted to study in the United States to get a closer look at the film industry. In fact, he said he perfected his American accent by watching American movies. "I've always had this obsession with the U.S.," he said. "I found it beautiful in a way, in its own way, in a really American way." Having attended Joplin High School since August, Lobenwein is now involved in Spanish, debate and TV Productions classes. He also was surprised by how easily he has been accepted by the student body. "I think they were really open, surprisingly so, when I came here, and they still are," he said. "There's a lot of good people here." Jule Loehnert, a 16-year-old from Germany, said she wanted to study in the U.S. to get a feel for American high school culture, most of which she had picked up from movies. She had never heard of Joplin before her placement with a local family for the school year. But now that she has been in Southwest Missouri for about seven months, she has thrown herself into her new American life. Loehnert is involved in theater as well as electives such as drawing, foods and interior design. The school building itself is something to get used to, she said. "It's a pretty great high school," she said. "It's new, and compared to my high school in Germany, it's so modern." Loehnert said she also appreciates that members of the faculty routinely check in with her, ask her how she's doing and talk about their own lives. "The relationship with the teachers here, I would say, is closer than the relationship with my teachers in Germany," she said. In recent years, Joplin High School has also broadened its global awareness beyond exchange students. Among the internationally focused opportunities that it offers is Immersion in Cultural Education, a nonprofit launched in 2013 by several Joplin teachers. ICE arranges travel-abroad trips to current students and recent graduates of the high school, their parents and other school faculty and staff. JET-HD, the television station that is run by faculty and students in the school's TV Productions department, has donated time to create videos about some of those trips for promotional use. The high school also recently was host for hundreds of students for Foreign Language Field Day for the first time, having taken the leadership reins from longtime host Missouri Southern State University. "I think it's incredible that the word is getting out that we are doing good work from a global standpoint," said Levi Butts, a Spanish teacher and co-founder of ICE. "If we can create students that see the world as bigger than Joplin, that provides them with more opportunities." As a result of the recognition, all students at Joplin and other honored schools now have an opportunity to win a $1,000 scholarship from AFS-USA to study abroad. Students can enter to win by answering the question “What does it mean to be a global citizen?” The deadline for submissions — which can be a photo, video or illustration accompanied by a short essay — is April 4."